The easy answer (and I’m sure the answer most would give) would be “god”, but since I don’t hold to the monotheistic worldview, I can’t say that. I would say that She decides, or, alternatively, that she responds to what deeper forces determine. There’s a very complicated system of cause-and-effect, a powerful causal web comprised of many layers of force, relationships and circumstances that stand behind any event. This includes our births, and our deaths. I have a hard time imagining that any being “controls” this mighty web of things, but I can imagine powerful other-than-human entities being very aware of this web, and intelligently responding to events within it, in line with some sense of compassion or wisdom on their part. In this way, I can theorize that perhaps the dark, nameless and vast matrix of causal reality itself may bring about our deaths, and that Santa Muerte is a compassionate responder to souls in the grip of that experience. I can go further; I can say that I *feel* that she is somehow even more involved in some way- that she herself has some relationship to that vast and dark causal system of power. But this begins to move her rapidly into a realm of hyper-apotheosis, and one must be careful with that, before I end up just being a “Santa Muerte Monotheist.” I won’t exchange one over-simplification for another, no matter how devoted I am to someone. I mean, let’s face it- she’s a miracle worker, not just a compassionate first responder to souls in the crisis of death. So, she has some kind of deeper influence over the weaving of events in everyday life. I must say, I suspect these things are well outside of the range of mortal understanding, or at least sufficiently far outside to be rarely discovered. Her power to create tangible and needed outcomes in everyday life actually leads me to join the camp of people who believe her to be a Pre-Columbian native Goddess of the Underworld. Almost universally, underworld cults in every culture (which includes the Ancestor-cult) are the “go-to” places for badly needed things, and the place that everyone has recourse to because everyone has Ancestors or dead family who can still maintain some benevolence for them in life. This includes outsiders to society, criminals, and whatnot. 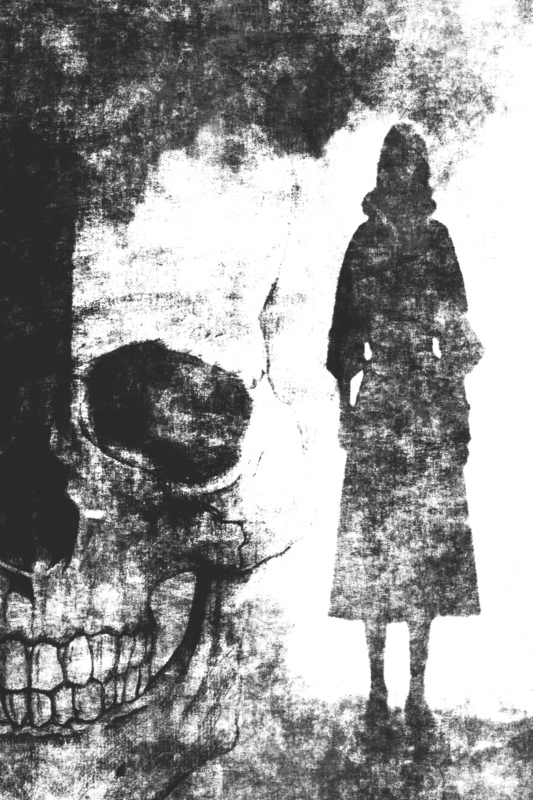 The Underworld cults, or chthonic cults of Ancestors, are generally paralleled with the more forbidden works of sorcerers that may or may not be socially acceptable. There’s a natural magic to this idea of relating to the dead. The dead are vast in number, and believed to be capable of affecting the world in many ways, for good or ill. In times of desperation, sacrifices to the darkest, deepest powers are called for. 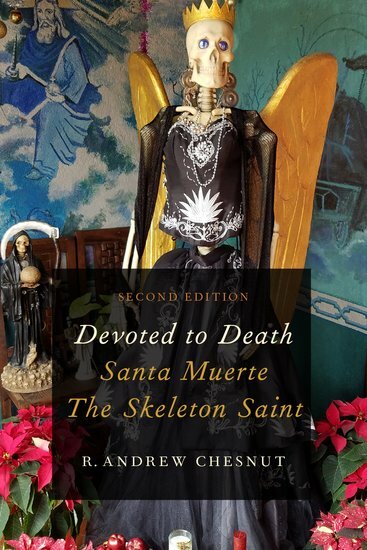 If Santa Muerte is, indeed, the Queen of the Underworld, the Queen of those who are in the darkness beyond this world, this would give her enormous power to shape worldly events. In the same manner that the mainstream “God” is thought to be served by angels or saints that can do his bidding, any powerful spiritual entity will have some kind of influence over lesser beings that can just as well act as their messengers or workers. The Queen of the dead would have a legion of the dead that she could send forth for any purpose. And since time immemorial, it is precisely these mysteries- of death, the ground that receives the dead, and the underworld- that people have held in deepest regard, in deepest dread and respect. And they didn’t just respect these things out of a sense of mortality (though that was one aspect of it, I’m sure.) They respected or dreaded these things because they were real, close, sensual, intimate, and effective. These things are entwined in everyday life, in everyday events. Death is always close. If you are on FaceBook, and want to join in on the discussion yourself, please Click Here to head over to the Devoted to Death group.